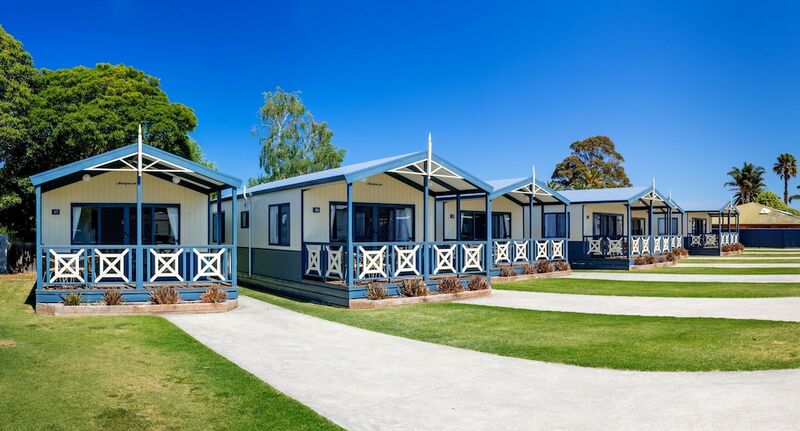 With a stay at BIG4 Whiters Holiday Village in Lakes Entrance, you'll be near the beach, within a 10-minute drive of Ninety Mile Beach and Eastern Beach. This family-friendly campground is 0.5 mi (0.7 km) from Main Beach and 0.5 mi (0.9 km) from Cunningham Foot Bridge. Make yourself at home in one of the 67 guestrooms, featuring kitchens with full-sized refrigerators/freezers and stovetops. Rooms have private balconies or patios. Conveniences include microwaves and irons/ironing boards, and you can also request cribs/infant beds (surcharge). Don't miss out on the many recreational opportunities, including an outdoor pool, a spa tub, and an outdoor tennis court. This campground also features wireless Internet access (surcharge), an arcade/game room, and tour/ticket assistance.